And over the last week, I’ve had an experience you would have thought had happened many times before: I had a conversation with a live reader. In person. Two, in fact. Both at my new abode. The fun part? They’re in the same walking group here (no, I am not in it), and have been talking about me. Or my book, which is highly correlated. I wish I could listen in! One liked it, and has no clue where it’s going, but has decided what cannot be allowed to happen. Huh. The other liked it, and seemed to connect – and asked me how I made Andrew’s Irishness work. I told her: hours of listening to radio from County Galway, and piles of notes – and a very light hand. That last bit, a light hand, is critical for so many things in writing. Yes, there is a lot of research in a novel like mine. Yes, there is an entire version of 2005/2006 where you’d swear (I hope) that this actually happened. Yes, like many writers I’m writing about things I haven’t experienced in person, and places I may not have been. But that’s my job, and my other job is not letting the reader see it. It can’t be in the story. Readers can’t find themselves in the middle of exposition: the info dump. That last part is important to me. I want a reader to acquire the story without having to work at it – and I seem to have succeeded reasonably well: I could tell by the questions of both that there were no rough edges they had cut themselves on. Phew! As I explained, I have not allowed myself the luxury of having a character conveniently think – at a time he or she would never do it – some piece of information that the reader needs. You won’t necessarily get, while reading, what some of those pieces of thought are for, but you should understand what triggered the thought, and file it away automatically, because. I will connect the dots for you later. And I got to say a few words to my new friends about a subject dear to my heart: plotting. Because fiction is not real life. Even in memoir writing, the memoirist has to be highly selective – space limitations. And pity for the boredom of a reader if given everything. And fiction has a purpose – which real life has, but not in neat chunks. I used my skyscraper metaphor: if you aim to build high, and expect people to be able to live in an aerie with a gorgeous view, you have to plan the plumbing from the ground up to the very top: water and waste management cannot be added where convenient, as you go. Those pipes gotta connect. And how having a solid structure in place – knowing characters, plot, setting, and timeframe, and especially why – allows me, an extreme plotter, the freedom of figuring out how. And the fun. I thought I’d get a pile of reactions and write them down for pondering later – so I brought a notebook and four pens (believe it or not, the first three didn’t work). And scribbled as we went. And found out later that I had written nothing of value. Because the interaction itself, the pleasure of being allowed to talk about my work (while being very conscious of what I looked for when homeschooling my kids: the glazed-over eyes), the pleasure of letting someone else talk about my work interfered with coherent note-taking. As, on reflection, it should. Not correcting a reader’s perception. Not letting out clues about where a topic will lead. Not telling what I’m eventually going to show. A nice extra: explaining in person how important review are. And… it’s time for our wonderful organizer to be here. Question for discussion: the in-person connection between writer and reader. It is rarer than you think. Have you had it? 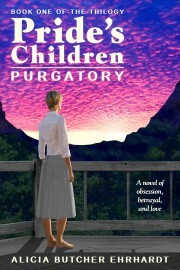 PS The ebook of Pride’s Children: PURGATORY is on sale for $0.99 until I’m solidly back to writing. Encourage the writer. 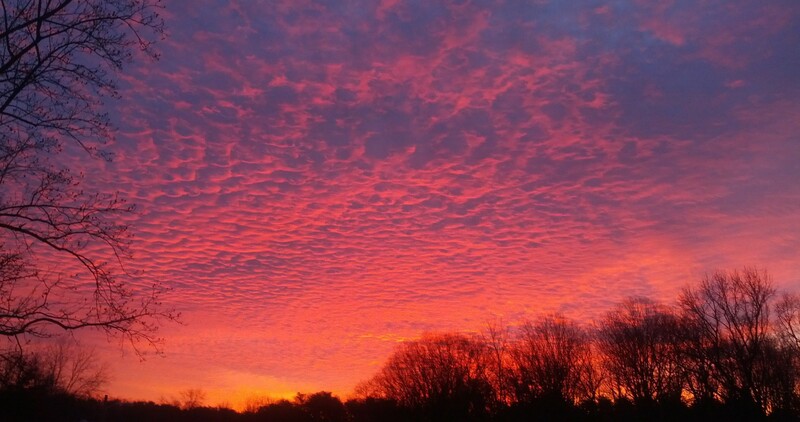 This entry was posted in Reading and reviewing, Short posts, This writer's life and tagged feedback, inspiration, Support on March 8, 2019 by Alicia Butcher Ehrhardt.